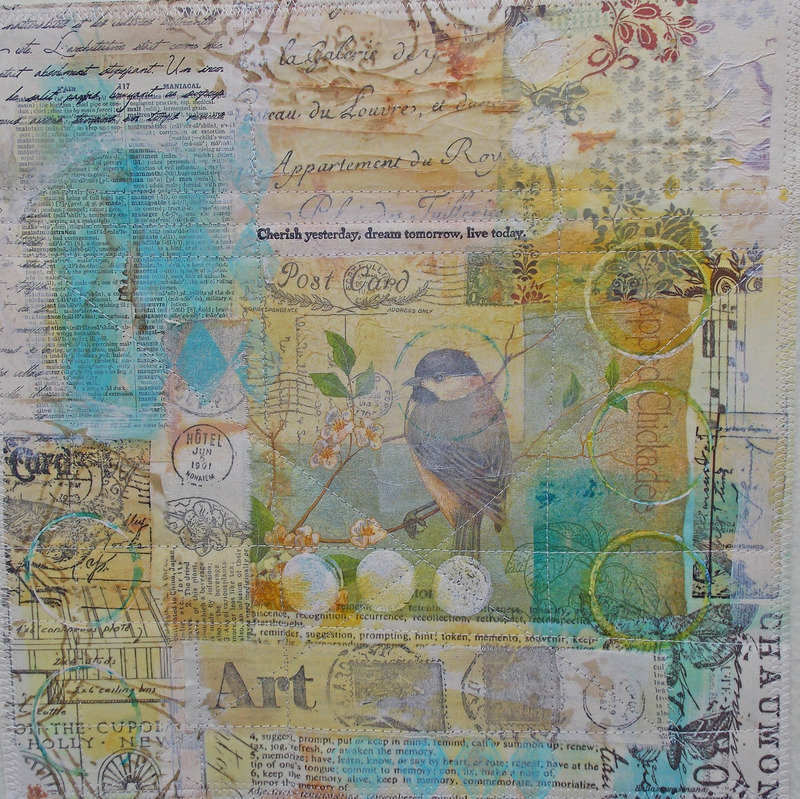 This is part 3, with another one of my classes I will be teaching next month at the Cloth Paper Scissors CREATE Retreat. I love text, mail, and combining paper and fabric. This class has all of those features and I am so happy to be teaching it. 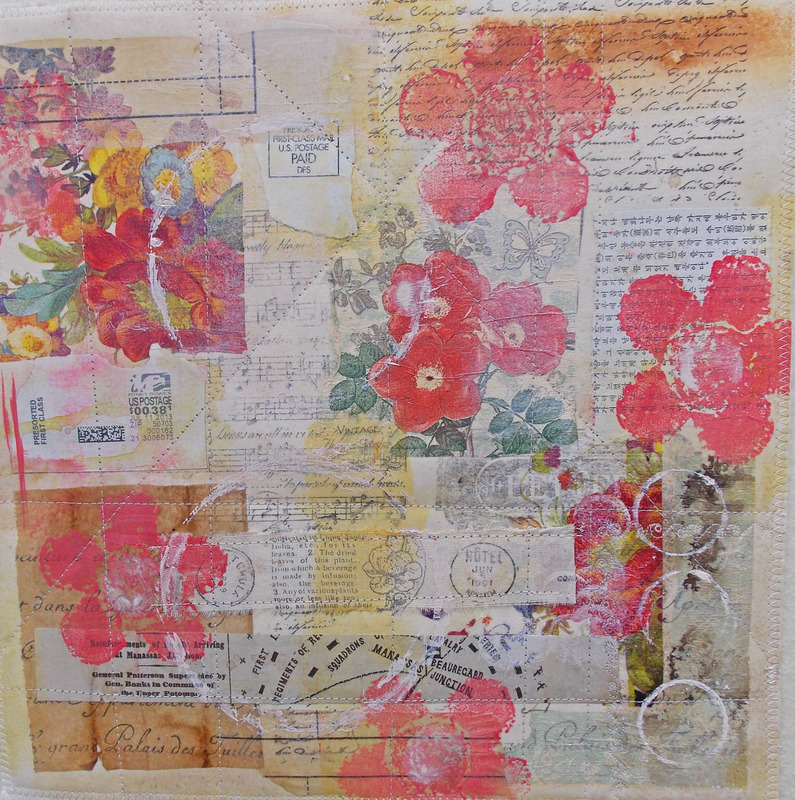 Create a beautiful art quilt, combining paper and fabric. Students are asked to bring their personal correspondence such as hand written journal pages, letters, mail, cancelled postage & stamps, and ephemera. 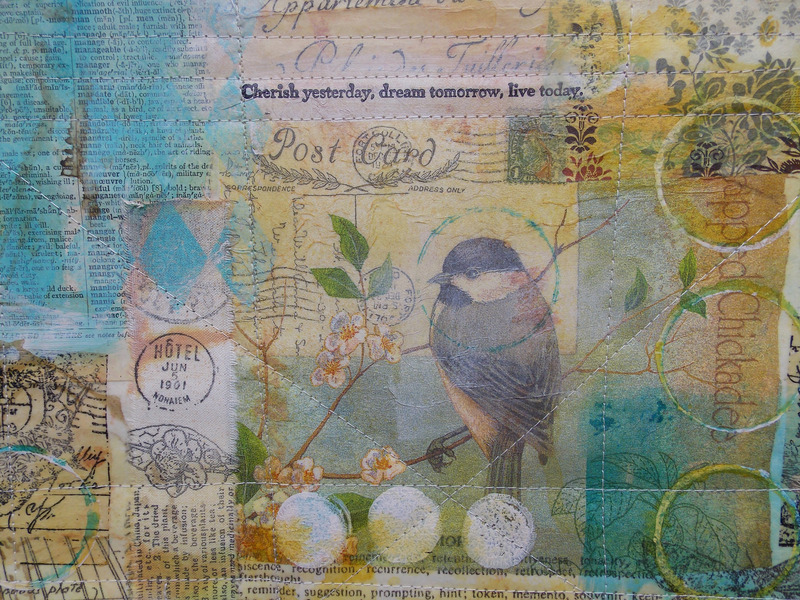 Those materials along with a little paint and machine stitching will create a very unique art quilt.